What is it ? 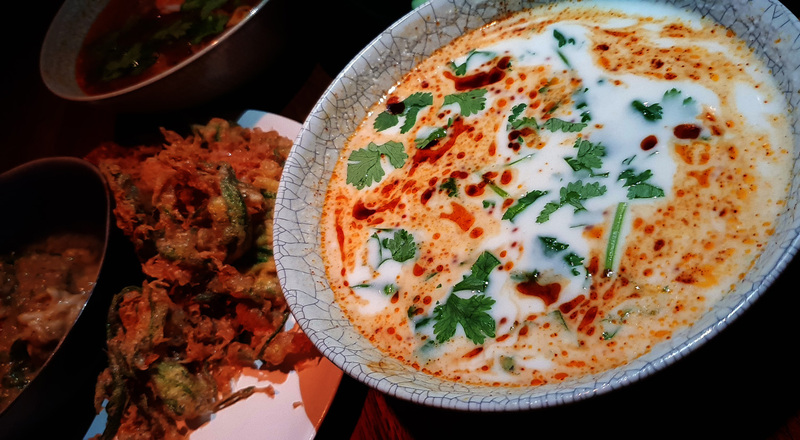 – A Restaurant specializing in authentic Thai cuisine and back to basics traditional cooking techniques using the freshest ingredients possible. 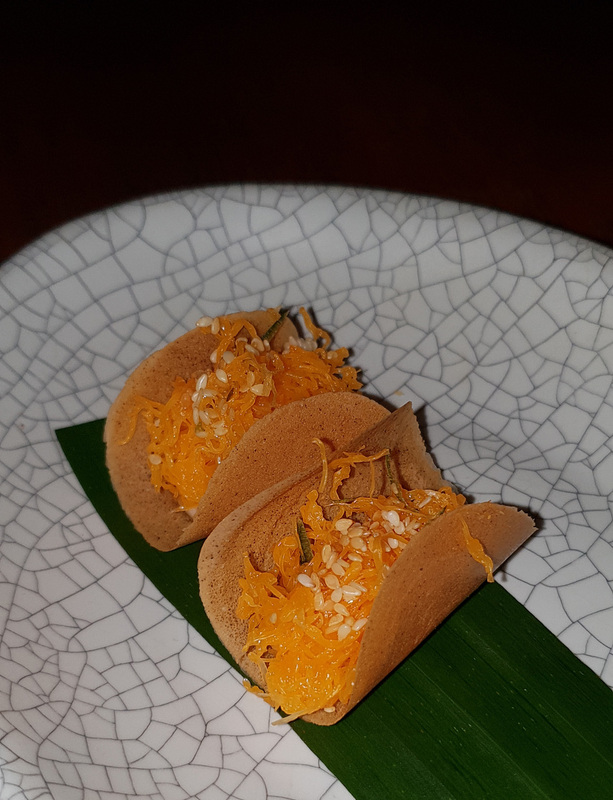 Currently ranked at number 22 in Asia (10th last year) , Number 49 in Worlds best Restaurants list 2018 and 1 Star in the 2018 Michelin guide. Where is it ? 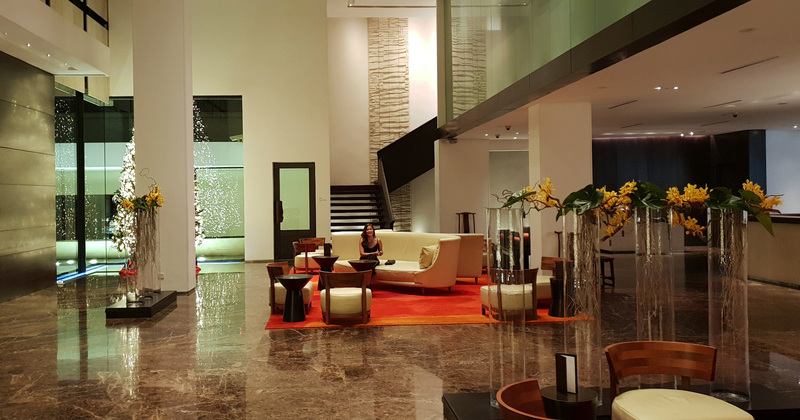 – Situated within the Metropolitan hotel in Bangkok , Thailand. Head Chef – Pim Techamuanvivit went from a research Scientist in San Francisco to boiling an Egg (her first cookery lesson) when she decided to learn to cook. 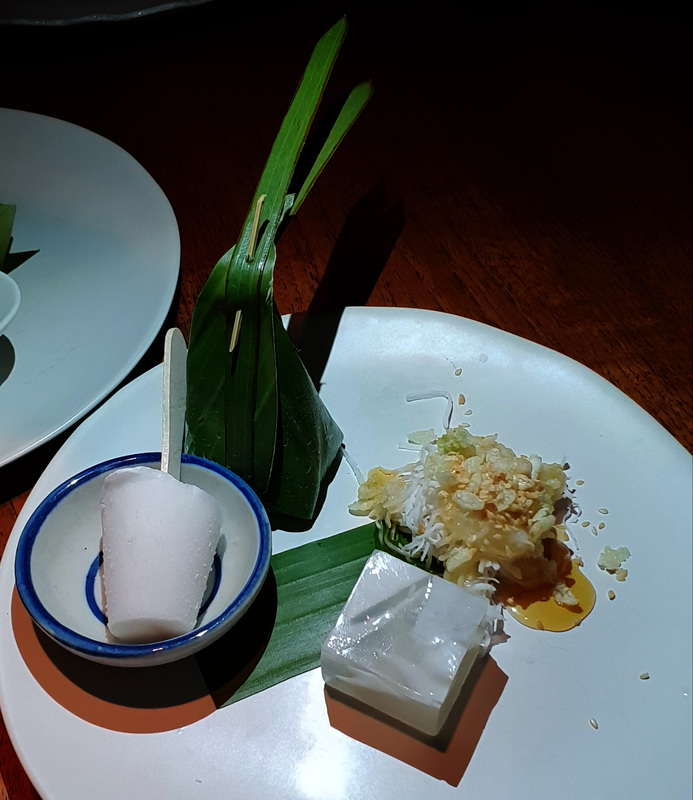 Pim then progressed from food blogger to Restaurant owner and on to Nahm and a first Michelin star. What should I expect ? 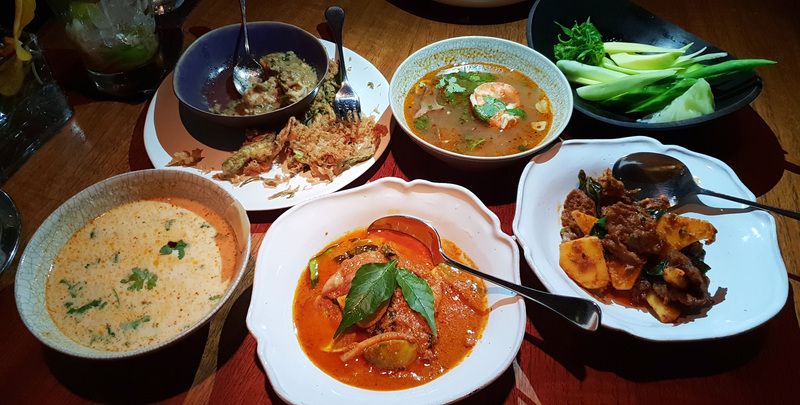 – A multi course tasting experience harnessing all of the flavours and food styles offered in Royal Thai cuisine. 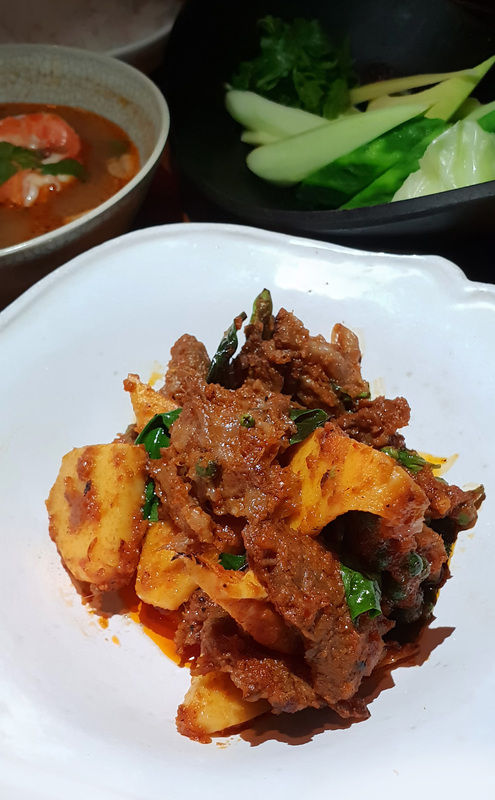 Must try dish – Definitely the Wagyu stir fry. What will it cost me ? 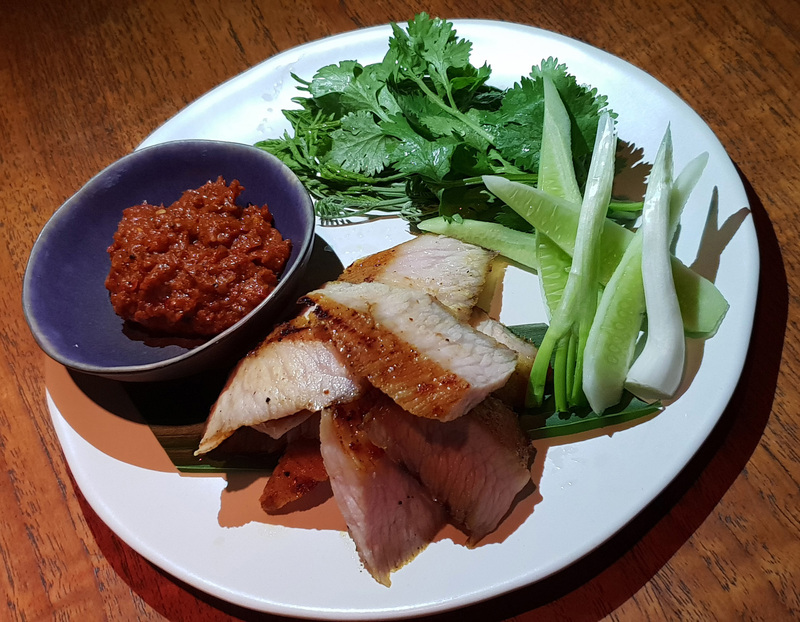 – Lunch – 1600 Baht ($51 / £39) , Dinner 2800 Baht ($89 / £69) .Prices are a little bit naughty when you see what you can get to eat for a tenth of that price in the city. 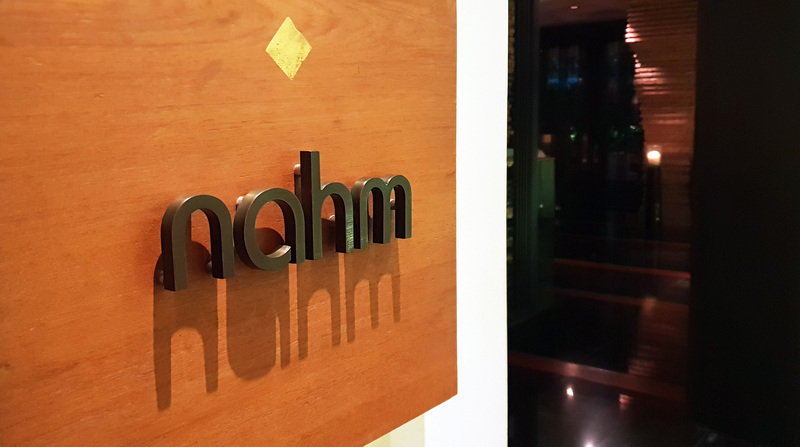 My thoughts – Is Nahm surviving on its past reputation as Number 1 in Asia ?….. and why do I keep on returning ? What`s good ? 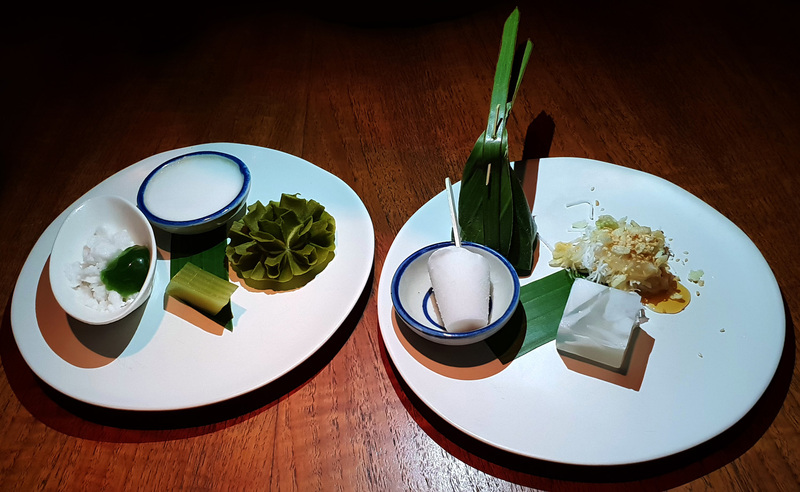 – The overall full Thai meal experience. Any Negatives ? – Yes , it`s far too dark in the evening to see the menus and food. 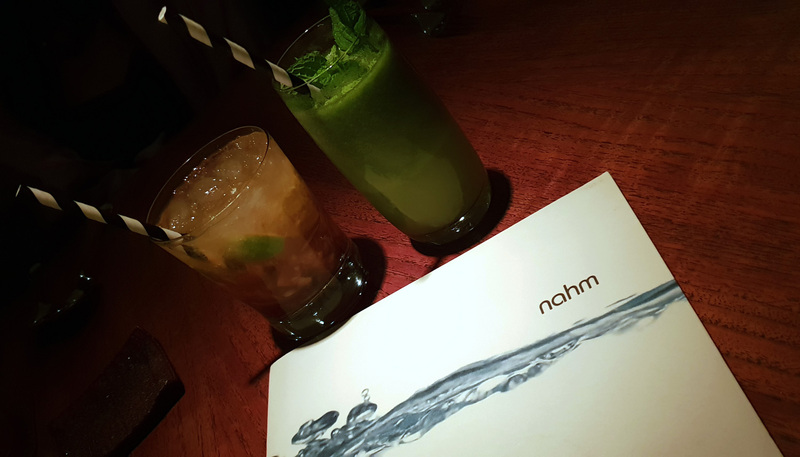 I’ve eaten at Nahm 4 times now and found it to be the same every visit. I had to read the menu using my mobile phone torch. Would I return ? – Probably , but not for a long time. Nothing really changes there and I find that the food doesn`t really excite me anymore. They`re also tweaking the prices up each time I visit – Go once just to try it. 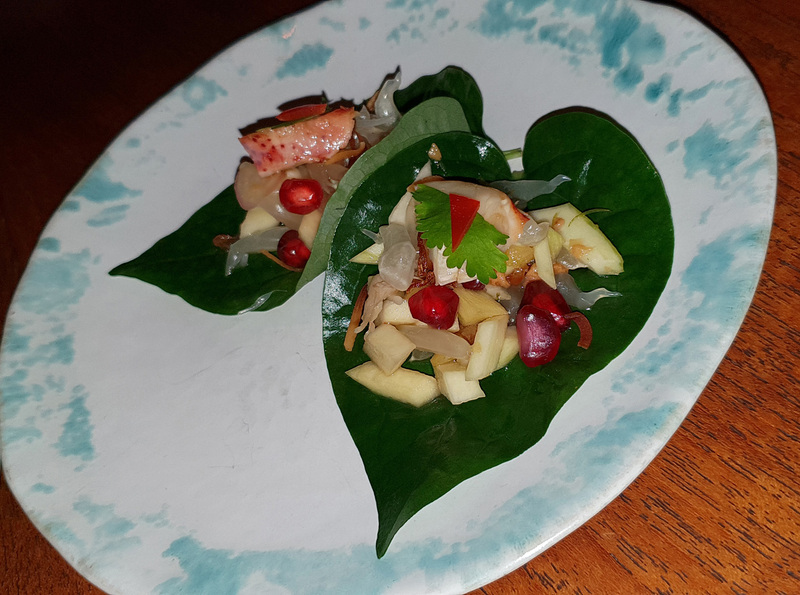 Miang of Lobster, Chicken , Green Mango , Snakefruit and herbs served on a Betel leaf. 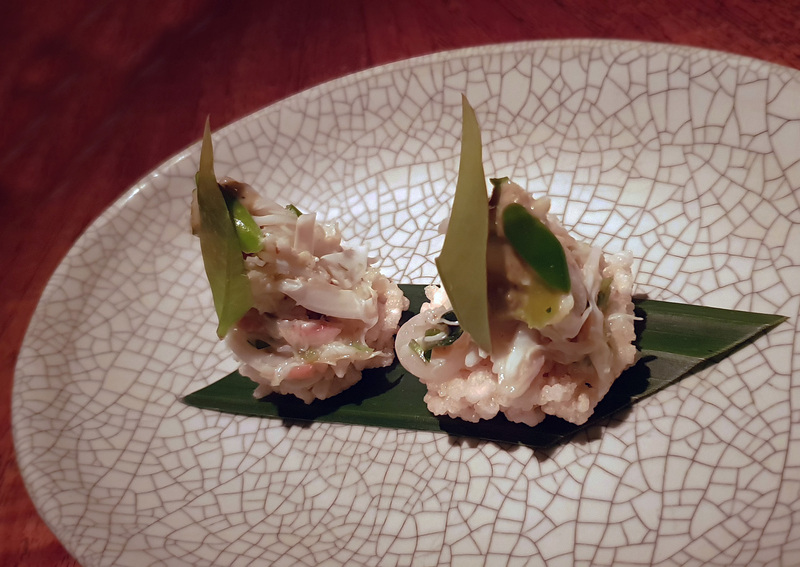 Blue Swimmer Crab , Coriander and pickled Garlic on Rice crackers with Peanuts. Pork Cheek in aromatic Shrimp paste broth. 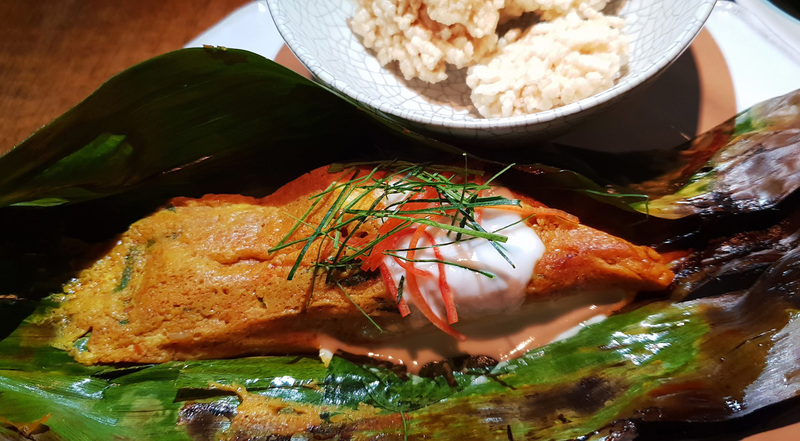 Grilled Banana leaf packet of Blue swimmer Crab , wild Prawns and Red Grouper Fish seasoned with wild Ginger and Red Curry paste. Chicken Coconut and Galangal soup with Chilli oil. 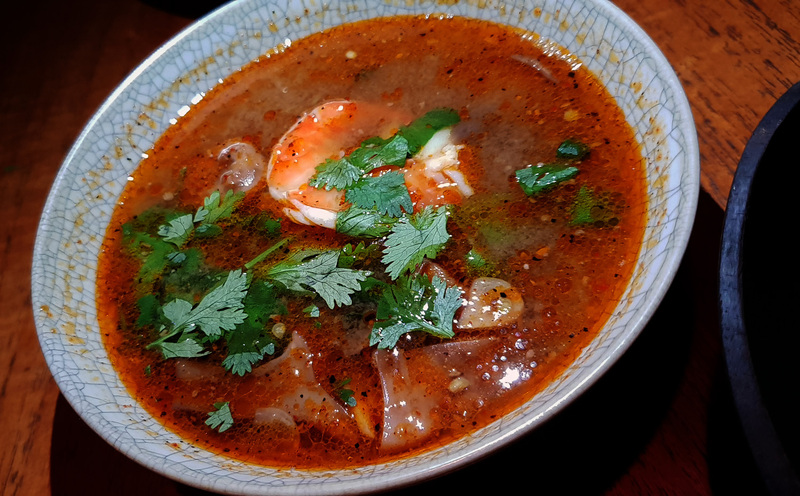 Tom Yum Soup of river Prawns , Blue foot Mushrooms and Chilli Jam. 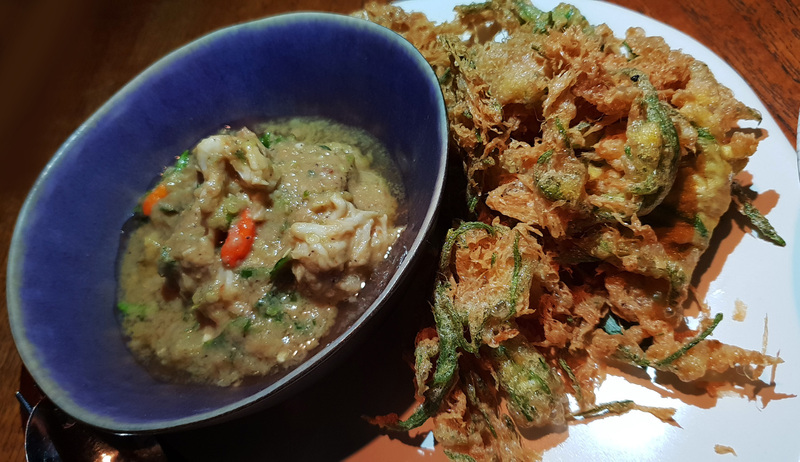 Relish of wild Prawns from Songkla with Tamarind , Ginger and Somsa. 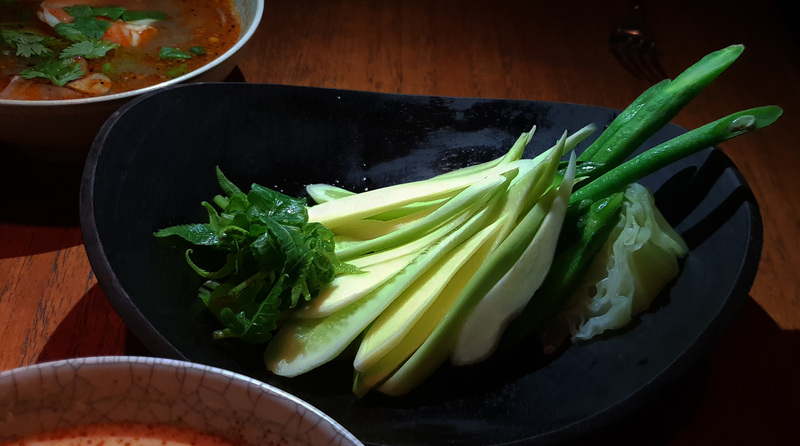 A refreshing palate cleanser of Thai Cucumber , Snake Beans and unripe Mango. 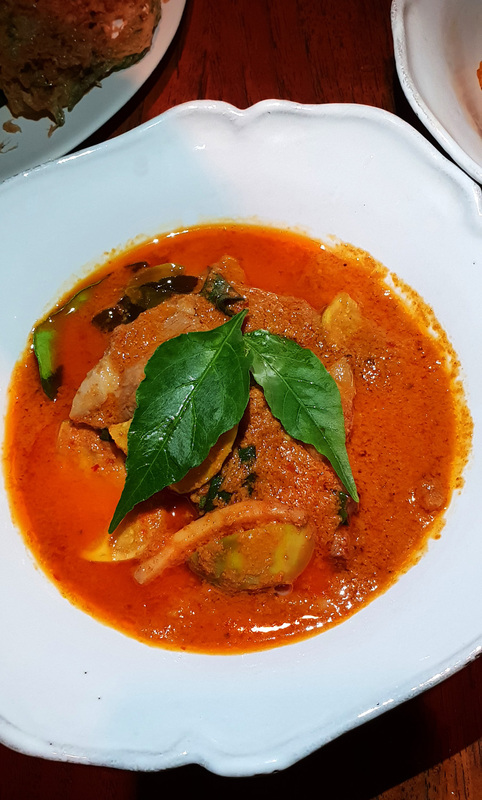 Rich Red Curry of Duck with Snake fruit , Sour Yellow Eggplant and Chilli leaves. “Angry Beef” – Stir fry with Wagyu Beef , young Coconut shoots , Basil and Green Peppercorns. In traditional style , everything arrives at the same time. 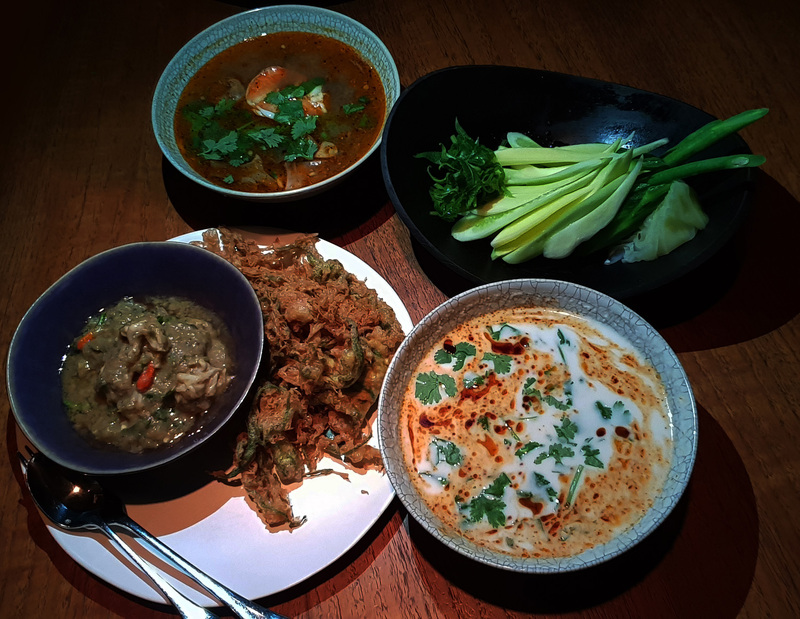 Soups , Curries , Stir fry , relishes and salad. 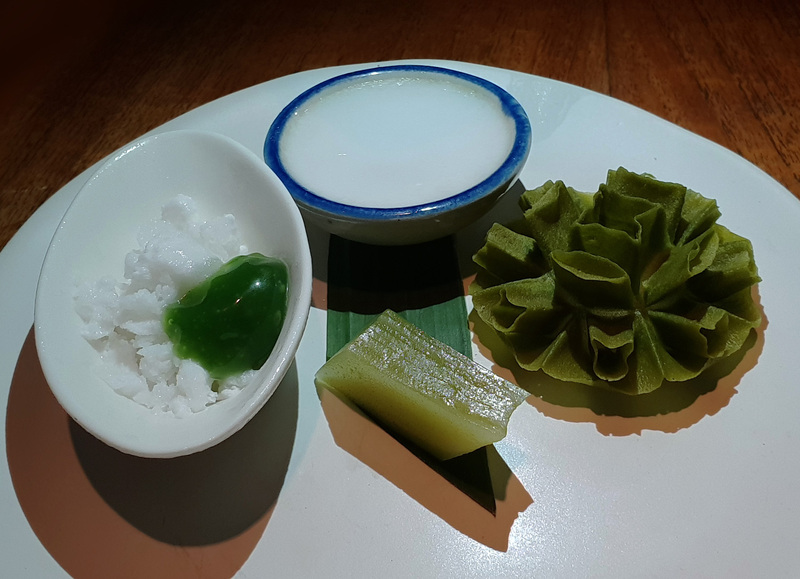 Textures and flavours of Pandan. Sweet treat made from Candied Egg Yolks. 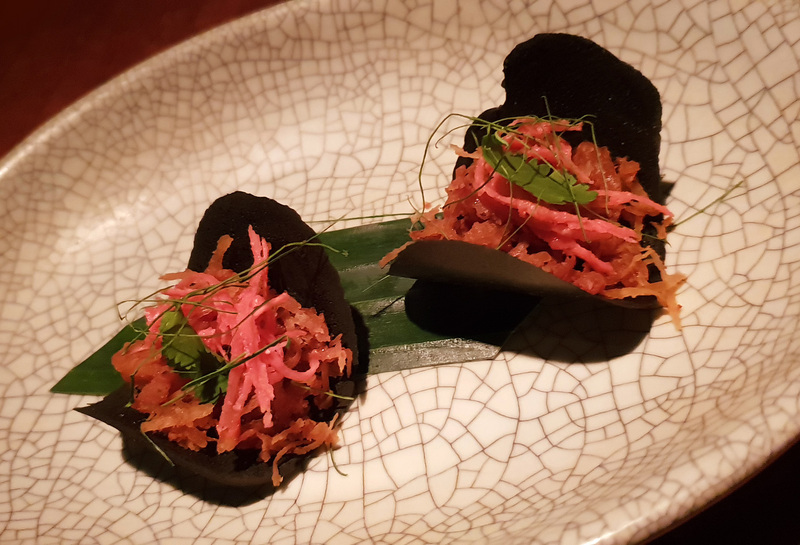 Previous Post TAST Catala – A taste of Spain in Manchester. Next Post L`Enclume , Cartmel.